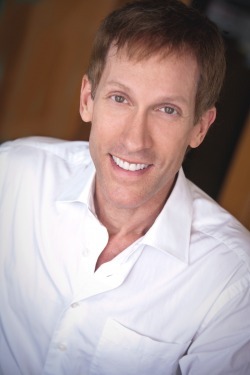 Craig Steven Dahn is an American showman and concert pianist. Born September 23 in Waukegan, Illinois, Craig's parents, Mert and CJ Dahn, enrolled their son in piano lessons at the age of eight. Within the year, he made his first stage appearance. After moving to Phoenix, Arizona, at the age of sixteen, Craig saw Liberace sitting in a parking lot. Tapping on the window, Craig asked the flamboyant showman if he could talk to him for a moment. Liberace graciously took the time to talk with the young artist. In addition to answering his questions, Liberace told him of a contest he was holding in Phoenix and invited him to participate. Competing against 2,000 other pianists, Craig won and was awarded the privilege to appear on stage with Liberace. Craig again performed with Liberace over the summer of 1981 in Las Vegas and the Phoenix Symphony Hall. By the age of twenty, in addition to performing with Liberace, Craig had also done the audience warm-up for the taping of a Lawrence Welk television show. Craig is a graduate of Arizona State University where he studied piano and organ with Arnold Bullock beginning at the age of thirteen. In 1992, Craig returned to his alma-matter as the first Arizona State University graduate to headline his own show at Gammage Auditorium. In 1986, Craig met Roy Rogers and Dale Evans at a private party during the grand opening of Happy Trails Resort. Evans invited Craig to send her a tape so she could hear him play. After listening to the tape, she invited him to be a guest on her nationally televised program Date With Dale. Craig has since made several additional network appearances on the Trinity Broadcasting Network (TBN). Craig's show Jump And Shout has been performed at the Sundome in Sun City West, Gammage Auditorium in Tempe, Arizona, Phoenix Symphony Hall and the Mesa Amphitheater. In 1994, Craig was selected by the owners of the new Silver Cloud Cruise Ship to perform for the private pre-inaugural parties held in Monte Carlo. In 2003 –2004 Craig was the opening act for comedian Norm Crosby. Since 1988, Craig has headlined the showrooms of Royal Caribbean International, Celebrity Cruises, Azamara Club Cruises, Cunard’s QM2 with tributes to Elton John, Jerry Lee Lewis, Winifred Atwell, Liberace and Lady Gaga and his newest 2017 arrangement of the Great Divas Of The World. Craig is the first to use High Definition Videos that create a live music visual experience for his performance. Using his own compositions, Craig takes audiences on a musical journey through Classical, Dixieland, Jazz, and Boogie Woogie styles. Craig's new CD, entitled "MASTERPIECES", is now available. Click here to purchase. To contact Craig or learn more about his music for sale, please click here.